Dependable high performance The market of firewood and woodheating has been registering a dramatic increase and about one third of all homes and residences now heats or burns wood in a stoveor a fireplace. To light a wood fire a good layer of dry kindling sticks is required. You can now let machines do the havy part of this work!!!! Our ZA 160 E is a kindling wood processor recently designed to complete our BGU range of firewood preparation machines. 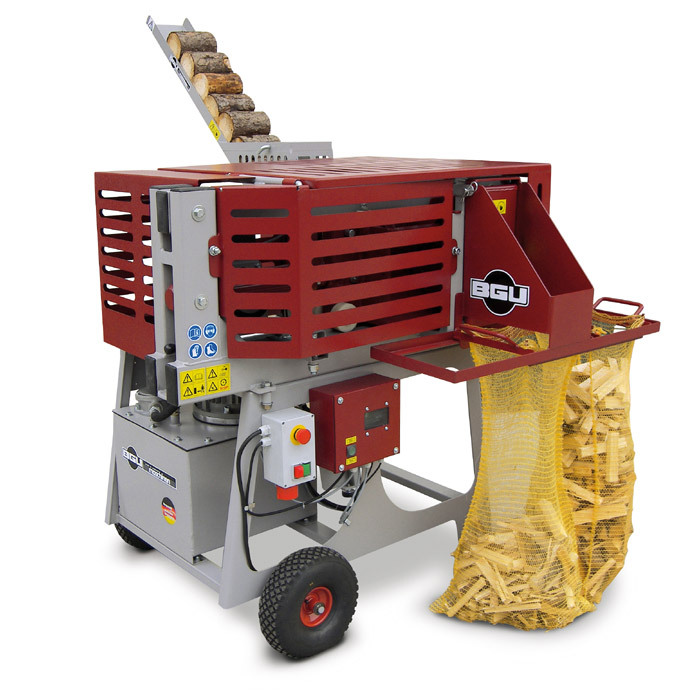 Reduced size and dimensions, excellent performance and an outstanding output (up to 60 ready-packed and convenient-sized 40 l bags per hour under ideal working conditions) are just some of its main benefits. A great piece of equipment with lots of benefits at a reasonable price!